Clark Kent is different. He can fly. He can se through walls. Burn objects with his gaze. He is a god among mortals. But he is alone and without a purpose. Like most 20-years-olds he doesn's know what he wants to do with his life. He can choose from anything. Sports, science, finance or media. The sky is the limit... If he conceals his powers and his true identity from the world. 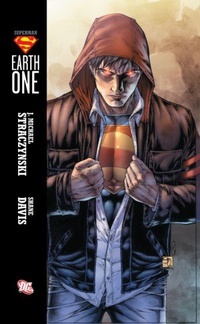 But when the skies darken with ships from distant planets, and the existence of Earth itself is threatened, Clark must make the most important decision of his life: to reveal himself to the world, sacrificing his chance for a normal life... Or let the world die around him.